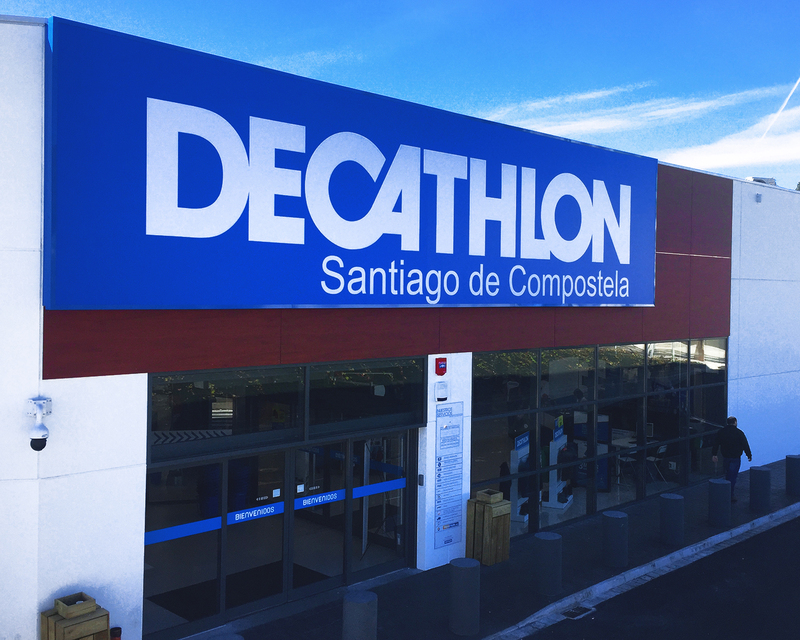 On October 10 2016, Decathlon re-opened its store in Santiago de Compostela after works to increasing the square footage of the selling area as well as renovating the staff facilities. The store, which had a total footage of almost 2.900m2, was enlarged by 1.250m2, and can now offer the best of its products on 3.600m2 (without including the staff facilities). Moreover, the parking lot was increased to 300 spaces, with 85% in a multi-storey parking. 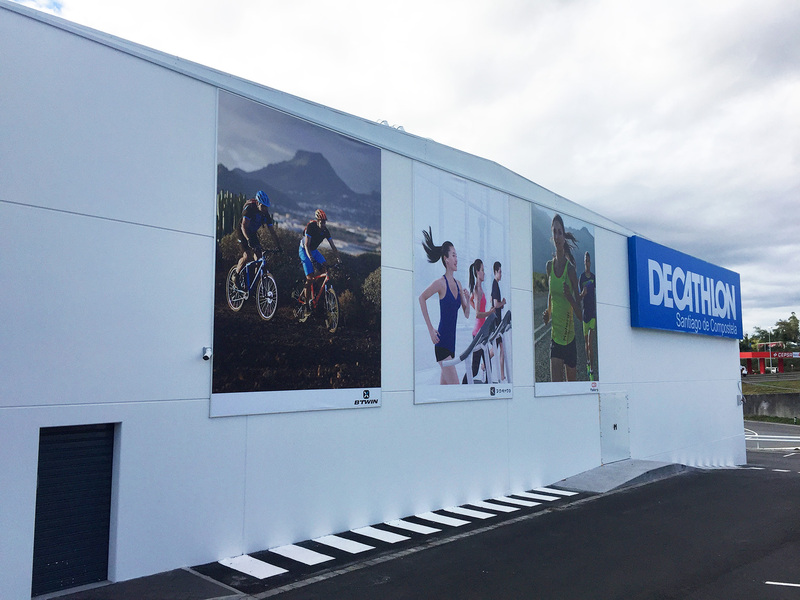 This increase of the store footage, first thought in early 2015, is one of the largest projects GMD Solutions developed for Decathlon. 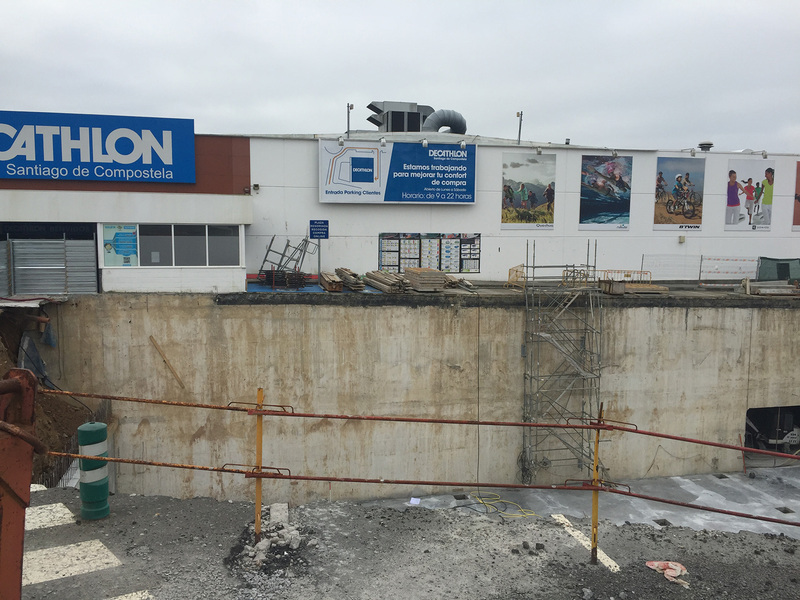 Our company advised the French brand during the whole process from the design to the realization of the works by the building owner (Decathlon only rents the facilities). GMD Solutions also realized the different projects required to carry out the works. The project was quite complex since the works had to be done while the store remained open to customers, as usual. Staff facilities: locker rooms and toilets, meeting room and stall. Fire protection gear: the detection system was entirely renewed in order to meet the current norm requirements. LED lighting: the lighting of the selling area was changed to LED in order to reduce the electricity consumption. Floor renewal: one of the most complex parts was the renewal of the store floor to a resin model. Works had to be tightly organized in collaboration with the store staff since the store could not be closed to customers. 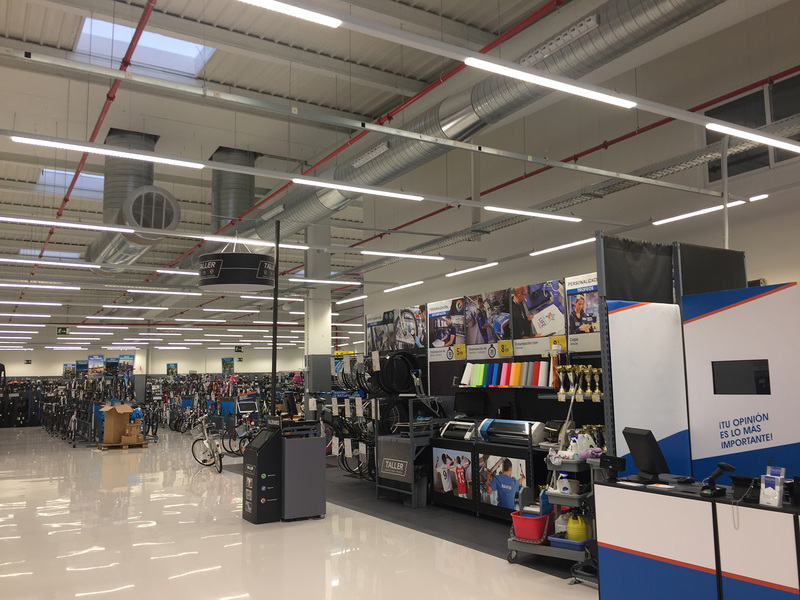 The “Decathlon” signs were also renewed and the main one was provided with a back-LED lighting in order to give a better visibility to the store. Protection against robbery and CCTV installation were also updated to fit the current norm. Parking: as previously explained, the number of parking spaces was increased and recharge spots for electric vehicles were installed as required by the local norm. 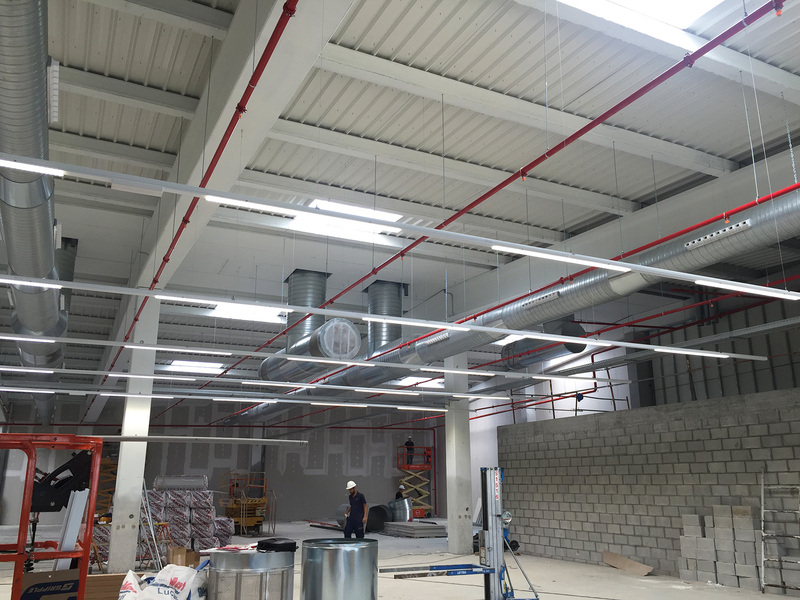 The different companies involved in the works are ORECO (architecture), Iberext (fire protection), Meta Instalaciones(electricity), Eivar (protection against robbery and CCTV), Rinol (flooring) and ProjectSign (signs).